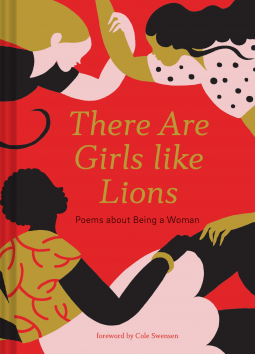 A Poetry Anthology: There Are Girls Like Lions – Joyce's mystery and fiction book reviews with some non-fiction too! Here are girls who can’t breathe air, only fire. You’ve got to help them rise. This anthology of poems about and for women includes authors that I both know and those who are new to me. A partial list includes Emily Dickinson, Edna St. Vincent Millay, Sandra Cisneros, Sappho and Mary Oliver whom I know and Mary Jo Bang, Naomi Shihab Nye and Jean Valentine whom I did not. If you are looking for an interesting, thoughtful anthology with an excellent introduction by Cole Swenson, I recomment this one. Thanks to NetGalley and the publisher for this e-galley which I was given in exchange for an honest review.